The terms peat moss, sphagnum moss and sphagnum peat are all used interchangeably, but they refer to two distinct substances. 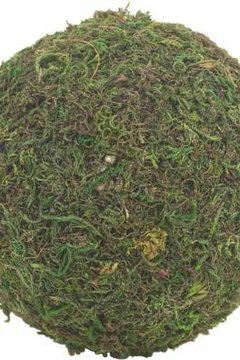 The recently harvested plant is termed sphagnum moss; peat is the partially decomposed remnants of the plant, usually collected from below the live plants. Though neither is ideal for snakes from arid habitats, both have their place in snake husbandry, and deserve consideration for humidity loving species. There are between 100 and 300 species of simple plant in the genus Sphagnum. These plants grow in bogs, sometimes known as peat bogs, where they thrive from, and contribute to, the acidic conditions. Sphagnum is constructed like a sponge, and is a very hygroscopic substance that absorbs water very well. Sphagnum floats on the top of these bogs and reproduces both sexually and asexually. When bits of the floating sphagnum mosses die, they drift to the bottom of the bog. Thanks in part to the extraordinarily acidic conditions; many bacteria are excluded from the habitat. Accordingly, the dead plant parts only partially decompose on the bottom and form the substance commonly called peat moss. Both of these substrates represent an ingestion hazard. If either is ingested, the hygroscopic moss may dehydrate the snake and swell in its digestive system, causing a blockage. Additionally, long strands or fibers may become entangled, causing an immediate medical emergency. When keeping a snake on a particulate substrate, cover the floor with a piece of newspaper before offering food. Peat moss and sphagnum moss can both be used in naturalistic vivariums. Peat moss, or soil amended with peat moss, makes a great substrate; many plants can be planted directly into it. Sphagnum moss doesn’t work well for planting, but it works very well for camouflaging cage props or hiding water bowls. One of the best uses for either peat or sphagnum moss is to create a humid retreat for your snake. Most snakes will seek places of higher humidity when preparing to shed, both to retard dehydration and remain hidden from predators. Use a plastic storage container or tub that is barely large enough to contain your snake. Place an inch or two of dampened moss in the bottom of the container, cut an opening in the lid or side, and place it in the cage. While this is a wonderful practice for shed cycles, it can be kept in the cage permanently – just be sure to keep it clean, and change the moss periodically. Always be sure that the sphagnum or peat moss you select is free from pesticides or herbicides. Additionally, some products are marketed as "peat moss mixes" and contain vermiculite and perlite particles in addition to peat moss. These particles are included in the mix to help with the substrate's structure, but may cause impaction if the snake ingests it. What Is the Difference Between a Vivarium & a Terrarium?